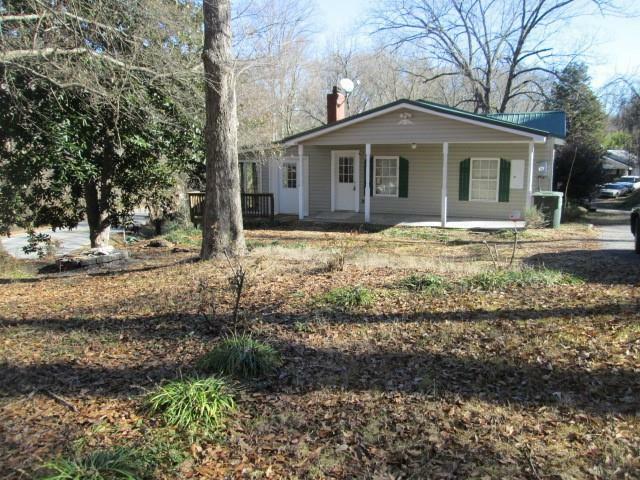 Situated on .56 acres, this updated home is move in ready. Relax on the rocking chair front porch and enjoy the mountain feel. Beautiful refinished hardwood floors welcome you as you enter. This home offers 3 bedrooms and 2 FULL baths. There is room to spread out with a spacious sunroom (which can also serve as the third bedroom) with 3 sets of sliding doors allowing for plenty of natural light. Plus an additional room that could be used as a third bedroom.